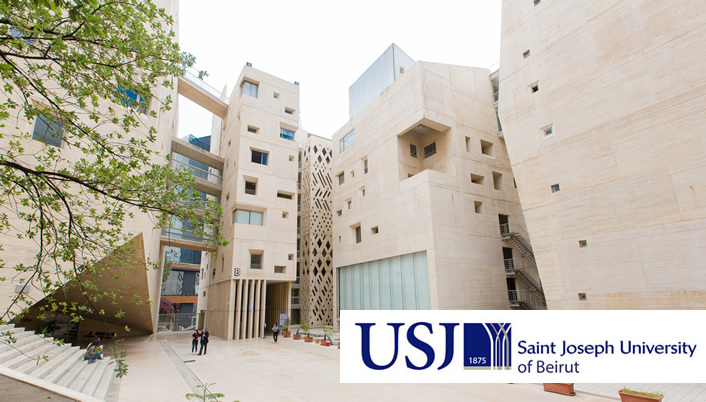 Saint-Joseph University of Beirut (USJ) is a private Lebanese university that was established in 1875. The university and its degrees are officially recognized by the Lebanese state, in accordance with the provisions of the private higher education that governs higher education in Lebanon. The university was accredited by AERES (Agence d'évaluation de la Recherche et de l'enseignement supérieur – a French academic research evaluation agency) in 2009. It is a member of the Association of Arab Universities, the International Union of Universities, the Association of Wholly or Partly French-Language Universities, the International Federation of Catholic Universities, the Federation of European Catholic Universities, the Association of Jesuit Higher Education Institutions in Europe and Lebanon, the Euro-Mediterranean Association, and the EuroMed Permanent University Forum. It has more than 200 cooperation agreements different universities, be they Arab, European, American, Canadian, Chinese, or Japanese. It houses the permanent headquarters of the Society of Arab Dental Faculties, which is hosted by its affiliate, the Faculty of Dental Medicine. It houses the permanent headquarters of the Arab Confederation for Faculties & Institutes of Physiotherapy, which is hosted by its affiliate, the Institute of Physical Therapy. It houses the headquarters of the Confucius Institute for the teaching of Chinese language and civilization. It houses the headquarters of the Japan Academic Center. The University’s mission, vision, and values are defined in its Charter. They revolve around two main axes: teaching and research, but there also exists a third axis of civic engagement. In that sense, USJ is a teaching and research institution. It promotes excellence and aims to mold its students into the best of the country and region, thereby opening wide the doors of opportunity for them. Not only that, but it also seeks to promote dialogue through biculturalism and plurilingualism, all while remaining a safe haven for reflection and character building. The Charter requires that all members of the university community be committed to advocating personal freedom while still being open to spiritual engagement. Members of all religious denominations, whose very plurality is idiosyncratic to Lebanese society, are called upon to take part in this advocacy, which implies an underlying theme of mutual respect and knowledge. The Charter also states that USJ serves all members of the community, regardless of social and ethnic distinctions, which explains the importance it accords to maintaining diversity in its faculty and student body. USJ refuses to follow one ideology, opting instead to make it's campuses an open space for dialogue and exchange of information so as long as no freedoms are infringed and no academic activities are disrupted. It hopes to act as leaven to the society it belongs to. The cultural activities organized by the diverse student bodies; these enable everyone to showcase their skills and talents, making student life that much more lively. The Master of Biomarketing is a program of the Faculty of Sciences of Saint Joseph University of Beirut in Lebanon. This Master program aims to train professionals and build an executive profile for students-candidates in the field of Natural Sciences and Marketing. Students-scientists will become strategic decision makers able to analyze markets dynamics, to master business intelligence and development and to elaborate marketing, communication, and media plans. 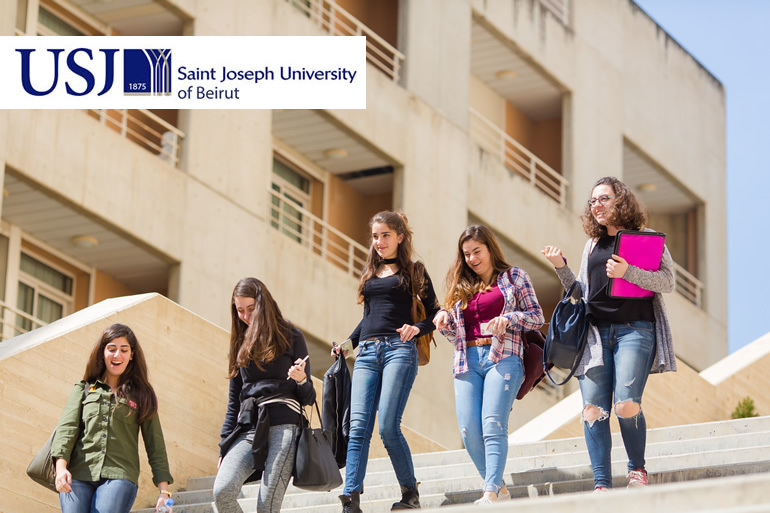 With the continuous emergence of new health threats and the major changes that are taking place at the technological, economic, social and political levels, the creation of a Higher Institute of Public Health (ISSP) at Saint Joseph University of Beirut has become a recognized priority for achieving better public health goals.